Can one customer satisfaction question revolutionise your business and predict its future growth? That is the question that organisations across the globe and across most industry verticals are asking themselves. George Todd tells us more. Many believe that the answer is a resounding “Yes” and industry leaders and global brands such as Apple, American Express, General Electric, and Virgin Media are incorporating customer satisfaction strategies into their business to ensure that they continue to keep this in focus. What is the question really about and why has its use as a customer sat metric become the ‘must have’ for many leading organisations? So why is this question so topical? Because it is part and parcel of a customer satisfaction approach and methodology called Net Promoter Score (NPS). 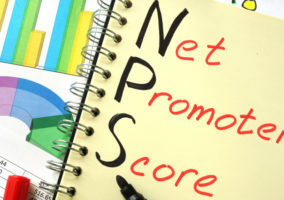 So what is Net Promoter Score? NPS is a customer satisfaction metric originally put forward by Frederick F. Reichheld of Bain & Company in his 2003 article for the Harvard Business Review, ‘The One Number You Need to Grow” and then expanded on in his 2006 book, The Ultimate Question. The question itself is either asked in isolation or as part of a larger (but always short) customer satisfaction survey. It is normally asked via email, online or a telephone survey. Its benefit is simplicity and ease of understanding, not just for the customer, but also for an organisation’s employees. They only need one number to measure success in their customer service delivery. 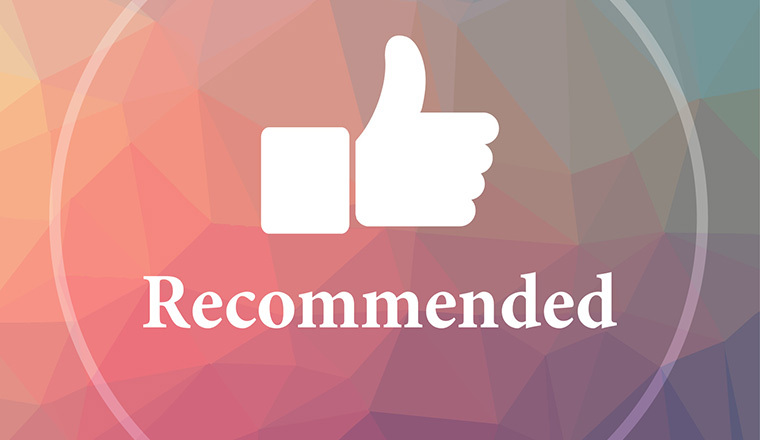 The main ‘promoter’ question is usually followed up by one or two more, looking for the reasons behind the ‘likeliness to recommend’. Reichheld’s claim is that it is the only customer sat metric you need and it is a reliable predictor of future growth. In his original research, 11 out of 14 companies he studied, across 6 different industries, showed a strong link between their NPS score and growth. However, this is where the controversy and debate starts. Is it really the only number you need? Whilst Reichheld and his proponents say “yes”, many experts and leaders in the market research and academic fields disagree. A number of papers and pieces of research conducted since Reichheld’s original article have cast doubt on the link between NPS and future growth. They state that NPS is no better a predictor of future growth and that it actually performs poorly in relation to other common customer sat measures. In addition they have suggested that NPS is a predictor of current attitudes only (how do I feel about this company and its service), not of future behaviour (likelihood of recommending them to my family, friends and colleagues). However, the widespread and constantly growing usage and passionate advocacy of Net Promoter Score by many organisations suggests that adoption of NPS can have a positive impact on your business. NPS – Why is it a magic number for contact centres? The foundation of the success of NPS is simple… it is simple. 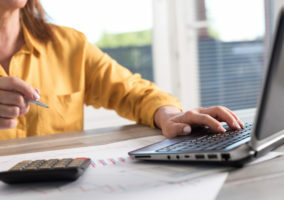 The ability to gauge a customer’s satisfaction and loyalty by asking one question means it can be used more extensively than more detailed customer sat metrics. In fact, it can be used after every interaction a customer has with your company. The Australian ISP, iinet sends their customers an ‘NPS Survey’ via email after every call or email that a customer makes to their company. Since the customer is normally online when dealing with their ISP, this means responses to the email survey have a high rate of response which is generally very unusual in any surveys. The organisation gets a ‘real time’ picture of both the quality of service and the ‘happiness’ of their customers. Whilst there may be doubt about the ability of NPS to predict future growth, there is little doubt in its ability to measure current customer satisfaction. As a result, it is simple to see whether the service offered to the customer was good enough, both from an agent and from an organisational perspective. As an outsourcer, NPS allows us to easily track the quality of our service and for our clients to be able to gauge our service delivery in comparison with their other sites. For one customer, our Cape Town operation is currently achieving a 40% NPS score. We can see that our clients’ customers like speaking to us and dealing with us. Our client doesn’t need to guess if off-shoring has been a good idea, they can see proof every day in the NPS score and surveys. From the CEO down, the business needs to be focused on doing whatever it needs to make your customers happy. Since, statistically, only the top 18% of the NPS rating is counted as positive, and we know that dissatisfied customers are significantly more likely to respond to customer satisfaction surveys, we need to exceed our customers’ expectations the majority of the time to get a positive NPS score. Not just satisfy them, but WOW them! One of the services we provide are hosted automated IVR surveys for a number of call centre clients and the subject of the net promoter score and its importance is one which frequently crops up. The questions our automated surveys incorporate are always tailored to each of our clients’ unique requirements in terms of the feedback they want to capture from their customers. Many want to ask the net promoter score but also want to understand what their customers think about individual aspects of service they are providing – such as how well the agent handled the call, quality of product and the delivery service etc etc. As the cost of capturing responses to questions about individual service areas is small but very important most clients choose to ask them. On many occasions this has led to measurable performance improvements which otherwise wouldn’t have occurred if those questions hadn’t been asked. For example we recently built and hosted an automated outbound IVR survey which asked customers what they thought about individual aspects of a complex Speech Recognition banking application. The survey produced some very interesting results and has led to some easily implemented quick wins which make the application more accessible and user friendly. The net promotor is a quick and easily understood indicator of customer satisfaction and overall performance but and their is no doubt that surveys, where appropriate, should include the net promoter question. But in many instances it’s important to ask questions about specific areas of service to understand how successful they are being delivered and the responses can then be used to make improvements, increase customer satisfaction and ultimately business success. Here’s a related question: how important is it for surveys to be made after the call (either by IVR, email or letter), versus having the contact centre agent ask the same question at the end of the call? In other words: how comfortable are the public at telling agents ‘the truth’, or do they skew things in order to appease the person on the other end of the line. Interested to hear your thoughts. Are there any stats which shed some light on this? We measure the level of Empathy between customers and agents and have an academically proven correlation to profit. This is very different to ‘revenue growth’. In answer to Emma’s comment we have found that Customers, whilst never intending to tell a lie, often don’t tell the whole truth. They often refer to logic when answering rather than their emotional drivers and it is these that mainly drive loyalty and profit. We work with many companies that can’t make head or tail of their NPS scores. One company scoring 40 NPS has less than 0.5 of their new customers coming in as referrals and 29% of their leavers were scoring 9-10 in their NPS surveys? Something is definately not working with NPS. Great comments. Here is a possible sticky plaster fix. I help people enter awards (a bit of a niche I know), and whenever we recommend the NPS, we also recommend they ask a second question “HAVE YOU recommended us in the past 12 months to a peer (y/n)”. NPS is a leading indicator – essentially a predictor of future behaviour. Asking this second question makes the assessment closer to a trailing indicator – a measure of what is actually happening. The second score is always lower, but it far more meaningful I find. Great idea Chris – must be better. However when people (either agents or Managers) get rewarded on their NPS score there is very little incentive in finding ways to lower it. I had coffee with Fred Reichheld last year and he told me that he wouldn’t recommend using NPS as a R&R tool for at least five years and yet this is one of the main reasons for its implementation! It seems that it has taken on a life of its own and is now a little out of control. When I have an NPS score of 70, I might have 82% promoters and 12% detractors. I could also have an NPS score of 70 with 78% promoters and 8% detractors. There are also many other combinations. Since both examples have the same NPS score how do you know which is better or if, in fact, you have improved? I could drop the percent promoters and keep the same NPS score. Think about it! All very interesting comments and good to see a diversity of reponses. I think the key here is, with NPS as with any measurement; whilst it is important to increase the NPS, what is fundemantal is how we do it. The idea is to decrease the number of detractors, by converting them upward and convert neutrals to promotors. It is, therefore, necesary to understand why they are unhappy or ambivalent and how we can change it. Many implemeters of NPS (of which I am an advocate) simply rely on the number and do not analyse the underlying reasons for it. In order to change behaviours, we need to understand the drivers of those behaviours and develop strategies, policies, proceedures and processes to address them. This is often the hardest part and the one of most resistance. Fundamentally, NPS is a useful tool in the plethora of data needed within a Contact Centre, but the number itself is only a number if you don’t analise why; and more importantly, ACT on the information. George Todd’s article finishes on the key words: “Not just satisfy them, but WOW them!” This simple phrase lies at the heart of building both loyalty and positive recommendations – because you have to exceed expectations to achieve both. When Satmetrix created Net Promoter alongside Bain & Company and Fred Reichheld, we recognised that its value lies not in being another customer satisfaction metric but in being the foundation for a customer-centric discipline within organisations. Virgin Media has adopted the Net Promoter Discipline right across the business. Every day we help Virgin Media collect about 1000 pieces of customer feedback and distribute them throughout the organisation, including frontline employees. Our closed loop feedback mechanism has helped Virgin Media take action and produce: a dramatic 18-point rise in its operational NPS (a 10-point rise is typically seen as world class); a 20% reduction in customer churn levels; a significant increase in the number of customers buying multiple services; a host of operational improvements that enhance the customer experience and thus encourage customers to stay longer; and a significant cultural change in the organisation, rallying 14,000 employees around the need to put the customer at the heart of everything they do. Very interesting comments and has given me better understanding of NPS. I just thought I might share something I recently started doing, everytime a quality assess a call( remotely). I contact the customer in question and get them to provide me with specific feedback in relation to how my representative dealt with him/her. I must say the feedback from the customers has been invaluable. We do this with the representative listening to the outbound call & gets the feedback directly from the customer & not just my view. This article has triggered some interesting thoughts about Net Promoter. I have been working with Net Promoter both as a consultant and to use it to measure the health of my client relationships for the last four years. As a result I am a complete advocate for both the metric and the Discipline that Karine mentions. The scores we have received have been indicative of future client behaviour. Anyone giving us a 6 or below did not stay a client for long unless we addressed where we were missing expectations. Anyone who scored us a 9 or 10 went on to spend more with us. By using Net Promoter to identify Promoters and then engage them, we have have seen revenues per customer increase and the cost of sale decrease. The other area where Net Promoter is paying dividends is in helping to create more motivated and engaged employees. In the call centre industry, making sure front line employees are natural promoters is obviously vital to delivering a customer expeirience that doesn’t just satisfy but wows. Net Promoter can help to underpin an employee engagement discipline that makes this possible. I have learnt some great tools which I can apply in my job. Has anyone implemented NPS as an agent quality measure? I struggle with doing that from a simplicity point of view as agents need to understand not only the score but the verbatim so they can clearly know what behaviors they need to improve on from the cusotmers point of view. Has anyone implement an NPS type quality score at the agent level that they can understand more clearly, I thought maybe avrg score out of 10 but averages scew things, or the % of 9 and 10 out of tens , reps are used to a 1 – 10 scale and could probably understand it more easily, I don’t want them confussed on understanding the number , I want them to get it and be more focussed on understanding their behaviors and the expectations of the customers but am struggling how to take interaction NPS results and measure at an agent level, anyone done this or have ideas? We will be covering some of these topics on the NPS webinar next week. Hello, thanks for the article and comments. I have learned many things to be applied in my job to improve it. Now, I would like to know how do you pull the report? What is the rate (%) of customers who receive the NPS after calls or email? How often do you survey? It can be after every call. The smarter organisations though make sure that no customer is surveyed more than once every 3 to 6 months, otherwise survey fatigue creeps in. You also have to ask the question of why you survey. If you cannot do anything with the feedback, you should not be doing a survey. and 50% passive so how to improve the percentage.